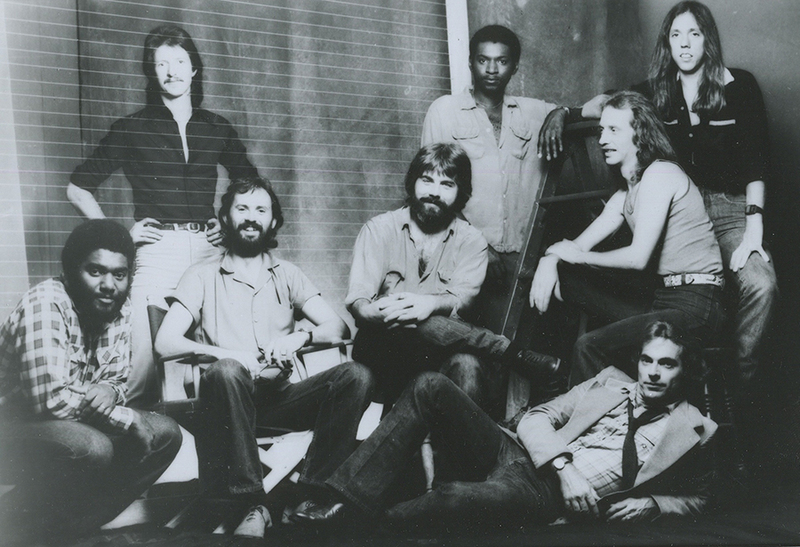 The Doobie Brothers’ numerous hits collectively formed one of the most impressive repertoires of any American band. Their legendary 1970s shows were marked by the percussive thrust of dual drummers, a full arsenal of guitar chops and the patented Doobies harmonies. The band cited a number of ties to Colorado, the only state where they headlined stadium shows twice—at Folsom Field in Boulder in 1975 and 1979. Marty Wolff, the group’s longtime lighting director, was a Denver-Boulder concert promoter in the early 1970s. Through Wolff’s Star Lighting, many Colorado denizens were part of the Doobies’ heyday, including Chas Barbour (the graphic designer behind the What Were Once Vices Are Now Habits album), Dan Fong (the official photographer/media coordinator) and former concert promoter Doug Brunkow. And percussionist Bobby LaKind once lived in Boulder and managed the Tulagi nightclub (where the Doobies performed in 1971). LaKind, who originally signed on as a member of the Doobies’ lighting crew, became a full-time member after the release of the One Step Closer album. His congas and percussion graced every Doobie release and tour from 1976 until the band broke up in 1982. LaKind died of inoperable colon cancer on Christmas Eve 1992 at age 47.